Two Stage Air Compressors are designed for medium pressure application and heavy duty component to give maximum performance. These Compressors provide the quality and performance that are ideal for most application. 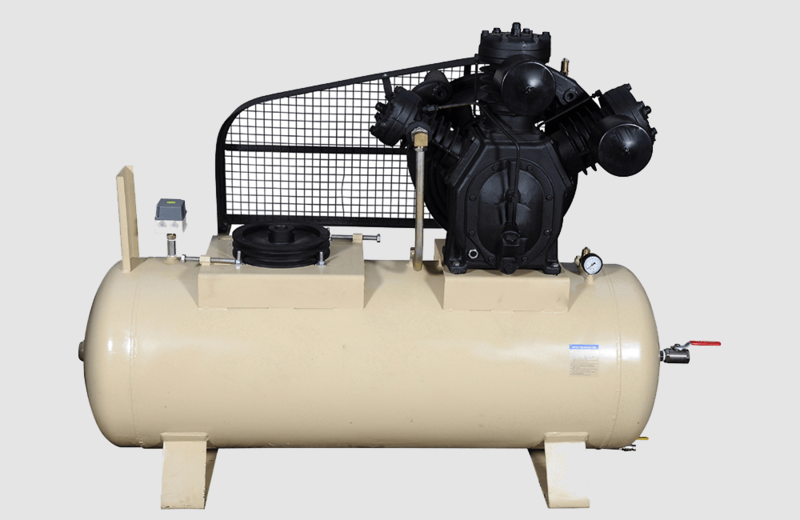 Two Stage Air Compressor can be availed in customized specifications as per the demands of the customers. Double Stage Air Compressor is extensively demanded by clients for its balanced, durable and easy operating interface. These compressors are used where the pressure requirements are up to 9 Kg/Cm² to 35 Kg/Cm² air pressure. Air Compressor With Horizontal Tank Equipped With Pressure Gauge, Air Coke, Drain Coke, Non Return Valve, Motor Rail Set, Belt Guard & Automatic Cut Off Pressure Switch Etc. Electric Motor, Motor Starter, V-Belt, Oil, Air Dryer, Etc.